The trainees are required to fill this form and let the company know how their training services fared. 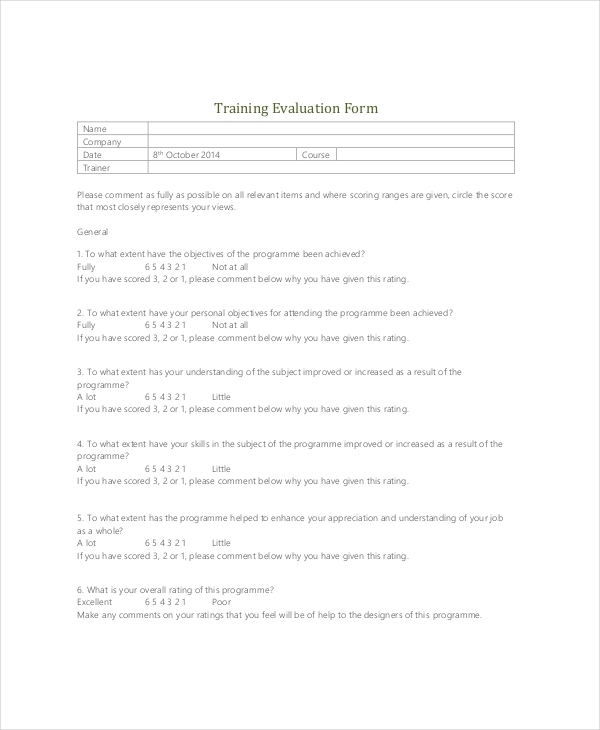 This feedback form gives information about the quality of training course, teaching effectiveness. Some structured questions are given for the trainees to fill in detail. The rating scale in this form is in word form. 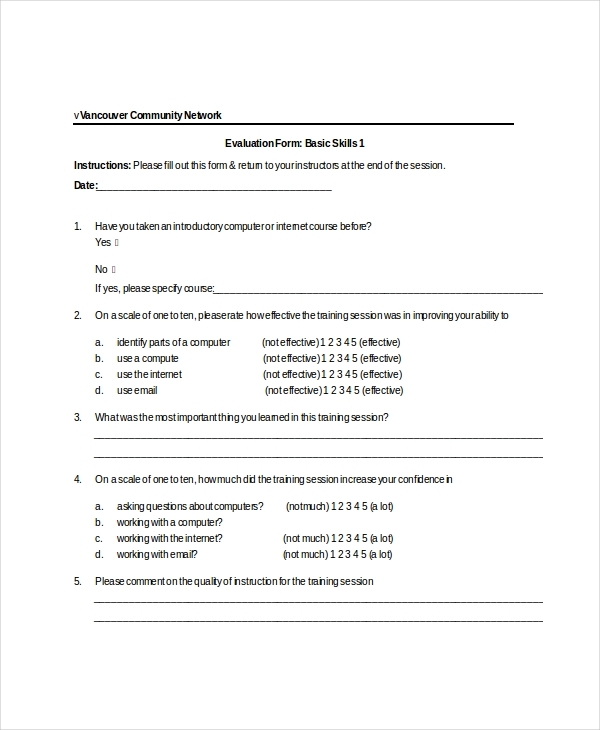 For those seeking basic computer training course need to fill this form. The form will be helpful for the training center to change certain things if required and create a better place for the trainees. The form includes questions about training sessions. Trainees must reply to these questions honestly so that changes are made accordingly. The communication skills training feedback form asks about the trainee’s communication skills. The supervisor has to tick the appropriate answer. He/she also has to mark the appropriate rating scale along with the questions answer. The form has many questions for which one answer and one rating is to be provided. It is designed to let the trainees know here he/she stands and where he/she could improve. The supervisor needs to observe the trainee with its patient. The feedback is entered according to the interaction the supervisor saw. The service provided by the company and the feedback about the trainer is essential. This form is supposed to be filled by the trainee. Observations about the training in general and the sales trainer evaluation is done through the usage of this form. Every question has a score range. The trainee has to give suitable reasons if the score is less for any question. The HR training feedback is for the person who has done training under the human resource department. The feedback for the training session and related questions are asked. These forms need to be submitted in time so that valuable analysis is done to make any changes required. For the evaluation of a training session, this form may come handy for companies. The form asks about the training organization, training environment, slide presentations, techniques used etc. these questions are rated between the score of 1-5. There are other structured questions as well that can be answered wherever required. 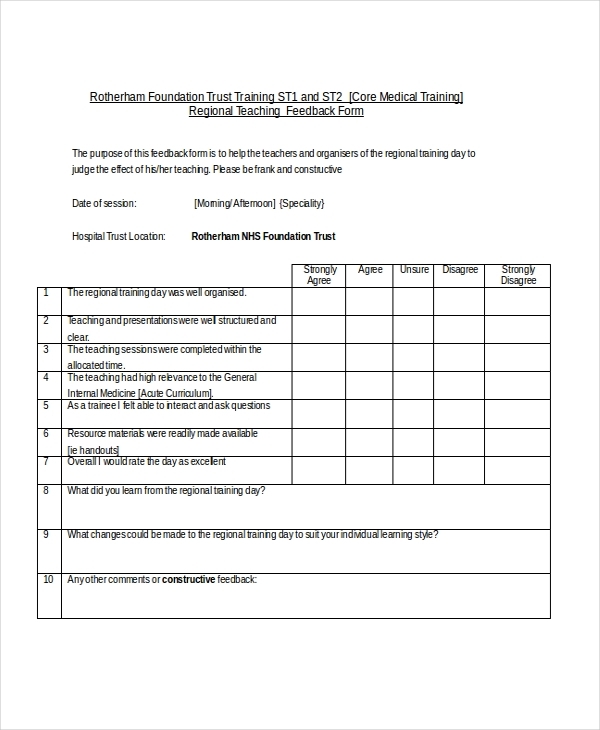 Supervisors who have trainees under them in an industrial set up can use this sample form. the form helps to evaluate the student in every aspect possible, like, communication, leadership skills, participation, motivation, collaborative skills, Punctuality, Interpersonal skills, Problem-solving skills, organization skills and many more. They are also told to fill in some extra suggestions. The form is then submitted with company stamp name and signature of the supervisor. The trainees need to share their views about the training they received in a particular time. The leadership training is to be assessed in some of these aspects like topics covered, experience etc. The form is analyzed by a suitable perform and changes are done, the next time such training takes place. 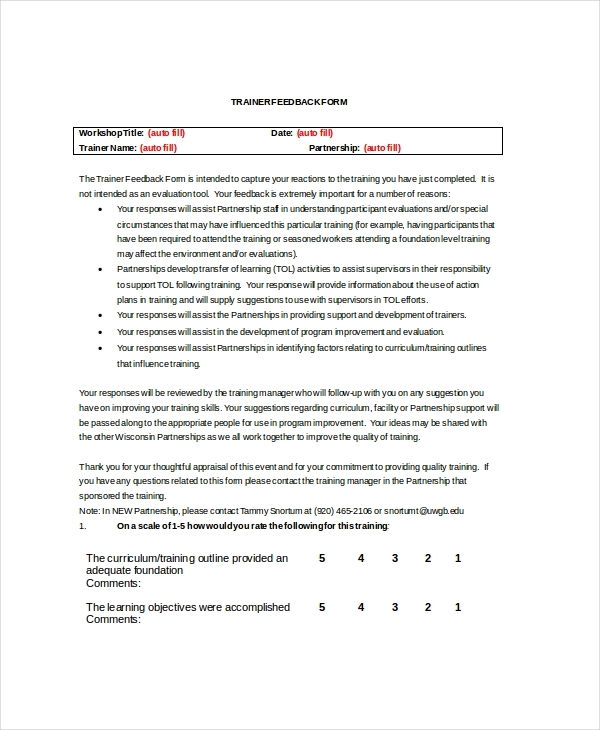 The reason for using feedback form is to help the planners and educators of the regional training day to assess the effect of his/her training. The trainees must be constructive and frank while filling the form as it would help the medical training in future in many ways. Personal trainers are those who help the trainees be fit and healthy. When a personal trainer is hired from a company, the company later sends a feedback form asking for the experience. 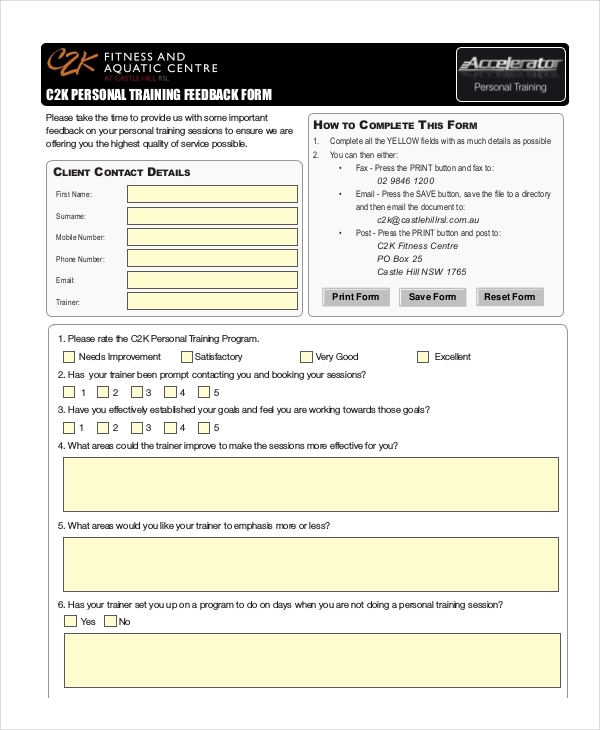 Personal training feedback form is used to know how the trainer helped the client, about the sessions, about the training program etc. The clients need to make honest confession about the training that they received so that the company improves later. 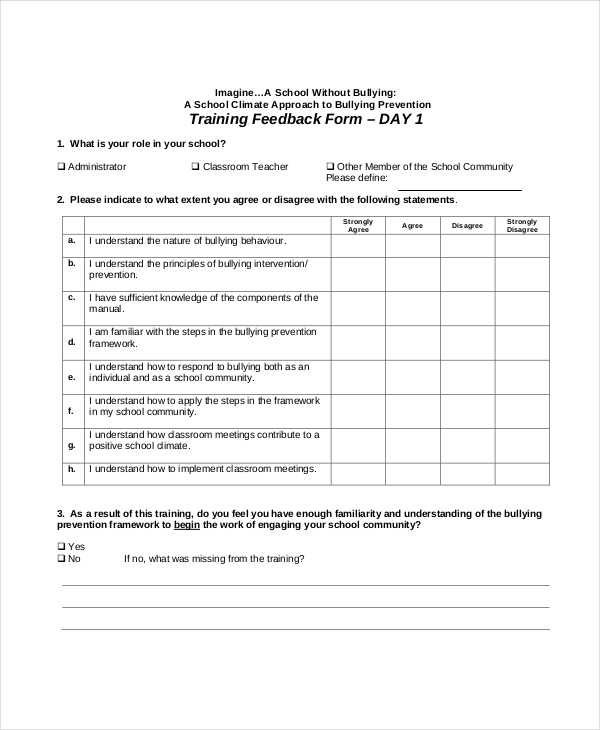 This form is used for the purpose of making all the teachers/administrators and other people aware that bullying is not a right thing. This is also to assess the training session that they received, and also giving the necessary ideas about the changes that may be good for the next session. 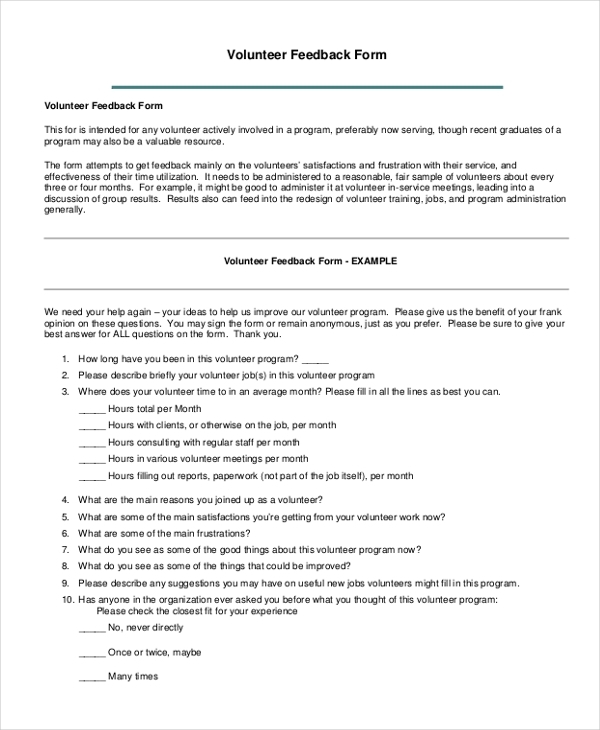 The volunteer feedback training form is used for those who have actively volunteered in a certain program. The form tries to know how the volunteers did their work. Whether they were effective and managed their time carefully or not. The volunteers are assessed either by their superiors or the person who has had firsthand experience with the volunteer in the program. 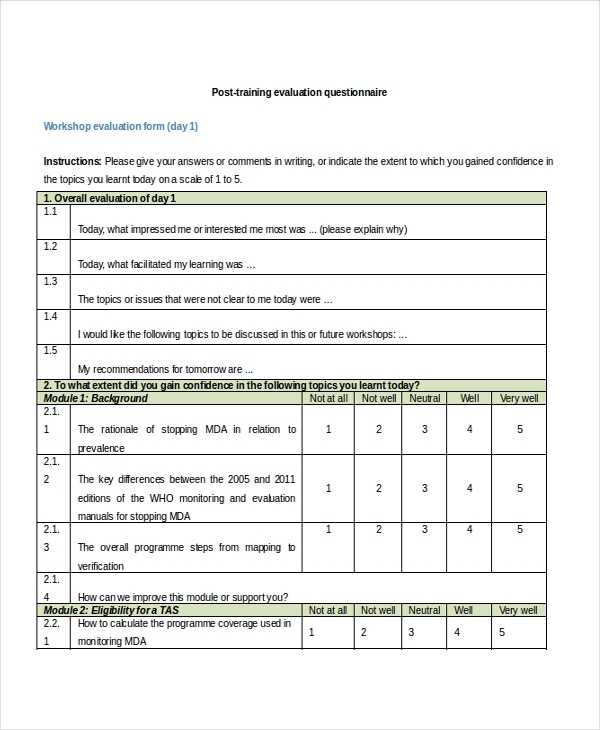 This is a workshop evaluation form that assesses the where the attendee has to fill in about whether they liked the workshop or not, how useful was it etc. many other questions are to be filled up honestly so that the assessment of all the forms together has a definitive feedback. It has many sections where the person has to give particular score according to the experience he/she had. 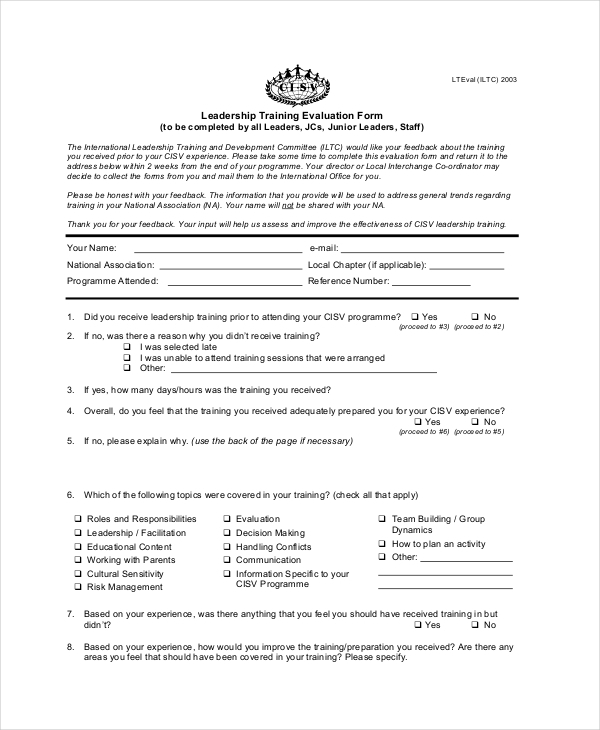 The feedback forms are mostly used by the trainee, but in some companies, a mentor or supervisor may also use it to grade a person for their future professional life. The forms need to be filled up very honestly. It must be ensured that no amount of bias will help such feedback forms. Hence, truthfulness must be maintained. The forms have the ability to create complaints. If you did not like any part of the training session, you can feel free to write them down. The company would get back to you as soon as possible. All the information given in the feedback forms are private and confidential. This means that the identity of the form filler is not revealed. This is a common rule in all the company. If there is a particular set of overwhelming response, necessary immediate actions must be taken. The feedback forms must have relevant questions so that it is easier for the person to fill it up. While creating a feedback from, multi-dimensional grid question must be avoided. This complicates the person filling it. Feedback forms must be used to identify efficiency and cost effective improvements. It should also know about customers common needs. One can create a feedback form as short as possible. No one likes to cling onto a long detailed feedback. Hence, having 5-8 questions should do the work.